Allie (Shalya Curran) and Kevin (Jason Wilhoite) look on, during early rehearsals. Tony: Jack, I have to tell you that is a real pleasure to portray you in the Farmington Players’ production of Brighton Beach Memoirs. Jack: It’s not as easy as it looks, is it? Tony: That’s true. 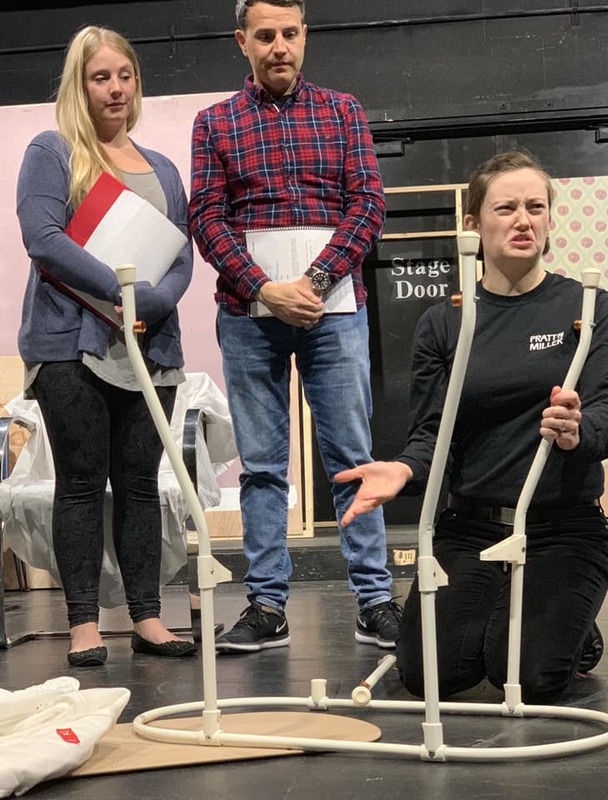 It’s challenging to play a character that is weary and physically ailing most of the time, and yet has to project such energy, emotion, and anger. Jack: Yeah, well, you seem to have the anger part down pretty good. That’s quite a temper you’ve got. Jack: Patience is not one of our virtues, my friend. Tony: I can relate. It’s hard dealing with four teenagers and two middle-aged sisters under one roof. And yet Jack finds a way to commiserate with everything his family is going through. As Jack often says, “I know what it’s like.” Your empathy is very genuine. Jack: You have to strive to set a good example, but also give your family – and yourself – permission not to be perfect. Jack: So, Tony, tell me how you go about connecting with my character? Tony: When I talk about Jack’s brother Michael, who died in the war, I hold his Army picture. I decided to make it more personal by using an actual photo of my father Barry when he was a young Army private during the Korean War. Jack: Nice touch. Did other family members influence your character’s development? Tony: I like to model Jack after my grandfather Albert Targan. A Russian Jew, he emigrated here in the early 1900s, and was orphaned at a young age. Despite little schooling, he worked hard as a grocer to provide for his family – a wife and three boys – and he knew that education was their way to a better life. Both my uncles served in the Navy in World War Two, and both went on to become lawyers. My father has a PhD in English Literature and is a writer and retired college professor. Jack: Besides family, what other themes of Brighton Beach Memoirs are still relevant today? Tony: In the play, Jack worries about his European relatives on the eve of WWII, saying, “If you’re Jewish, you’ve got a cousin suffering somewhere in the world.” America has always been a safe haven. If my grandparents and other Jewish relatives did not escape Eastern Europe to seek asylum in America, none of my family would be alive today. We are a nation of immigrants, most of whom came to America to flee persecution or seek religious freedom. And yet many people still want to bar the door to new immigrants, or have prejudices against anyone who is different than themselves. Jack: Last question: The Jerome family lives in Brooklyn in 1937. Like many families during the Great Depression, we were poor and had our share of family drama. What makes our family so special that people will want to come see Brighton Beach Memoirs? 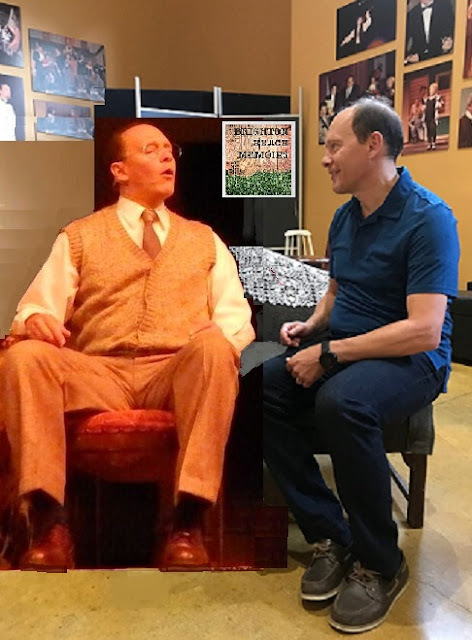 Tony: Brighton Beach Memoirs is a semi-autobiographical reflection on the life of its author, the recently departed Neil Simon. 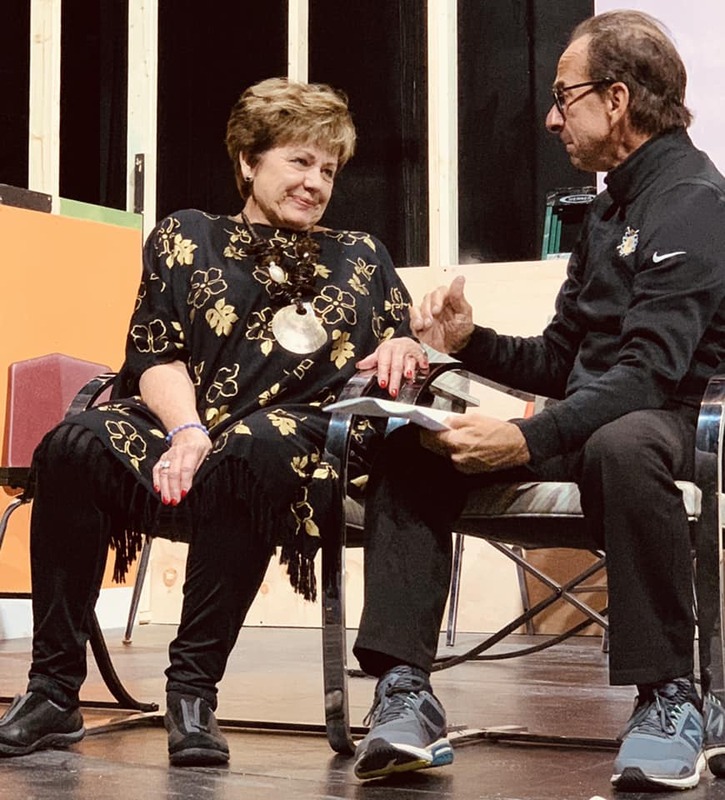 The structure of the play is compelling as the young Eugene Jerome narrates his dreams and desires directly to the audience in comedic fashion. The family dynamic pits spouses and siblings against each other, and yet, despite all the strain, the family’s ties are ultimately strengthened. It’s a poignant family drama … Plus, it’s just a really funny show! 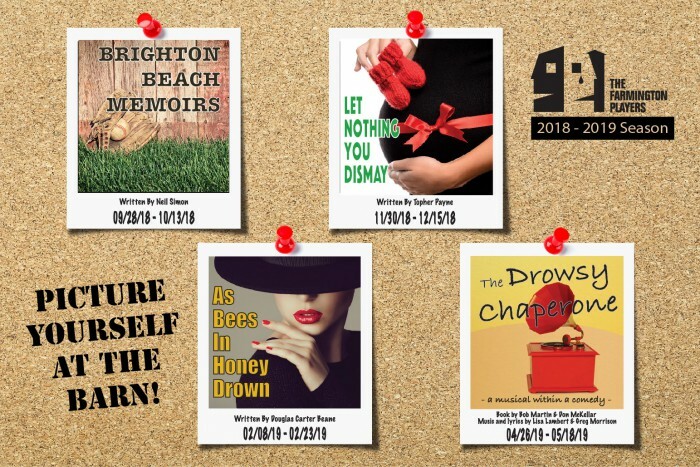 Brighton Beach Memoirs has 3 remaining performances at the Farmington Players Barn Theater from October 11 – 13. The show is proudly sponsored by Mall Malisow & Cooney. Tickets are available online at farmingtonplayers.org or by emailing boxoffice@farmingtonplayers.org or calling the Barn box office at 248-553-2955.
as husband Jack (Tony Targan) tries to keep the peace. 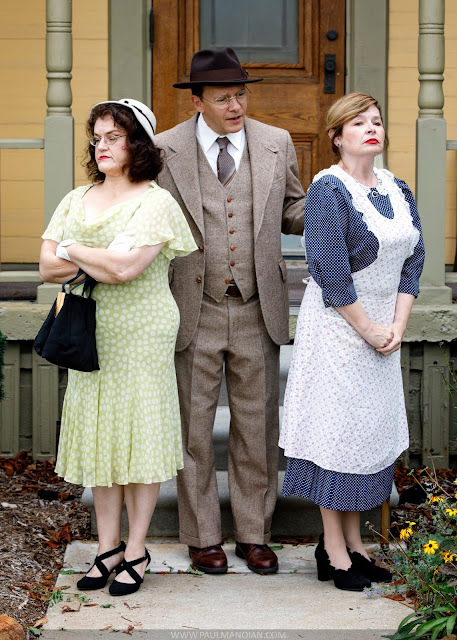 Brighton Beach Memoirs has 7 remaining performances at the Farmington Players Barn Theater through October 13. The show is proudly sponsored by Mall Malisow & Cooney. Tickets are available online at farmingtonplayers.org or by emailing boxoffice@farmingtonplayers.org or calling the Barn box office at 248-553-2955.